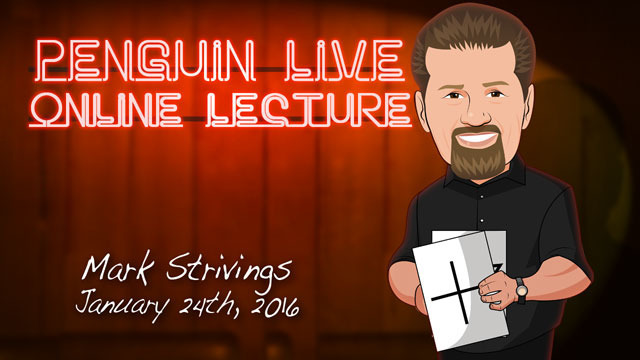 Today, when you order "Mark Strivings LIVE 2", you'll instantly be emailed a Penguin Magic gift certificate. You can spend it on anything you like at Penguin, just like cash. Just complete your order as normal, and within seconds you'll get an email with your gift certificate. Mark Strivings LIVE 2 (Penguin LIVE) Brilliant, real-world mentalism from the man who practically started the strolling mentalism movement worldwide! SUPPORT LIVE MAGIC. DOWNLOAD THE FULL LECTURE TODAY. Open & Shut - one of my most popular effects ever. It's sort-of a mix of ACAAN and the Open Prediction, while being neither. A brain crusher! It's Hammer Time! - Being revealed on video here for the first time ever. A very commercial and fun handling of the classic 'Seven Keys To Baldpate' plot with loads of room for fun in the presentation. Plus it is 100% examinable. Will The Persiflage Coalesce? - My take on Larry Becker's classic 'Will The Jokes Match?' that takes it a step further. Do That Voodoo - A wonderfully bizarre effect using a genuine voodoo doll and some minor pyrotechnics. This is a worker for those who like a bit of an edge. A Work of Art - A wonderful take on the classic design duplication plot that is so easy it's almost criminal. A Confabulous Vacation - My take on Shaxon's classic Confabulation plot, with a kicker that no one sees coming. Mark Strivings is 20+ year full-time pro out of the Denver area where he performs upwards of 450 shows per year. He first came to real prominence in the magic world in the mid 90's with the publication of 'Mobile Mentalism', at the time the largest compendium of material for the strolling mentalist, and the publication which basically started the strolling mentalism movement worldwide. 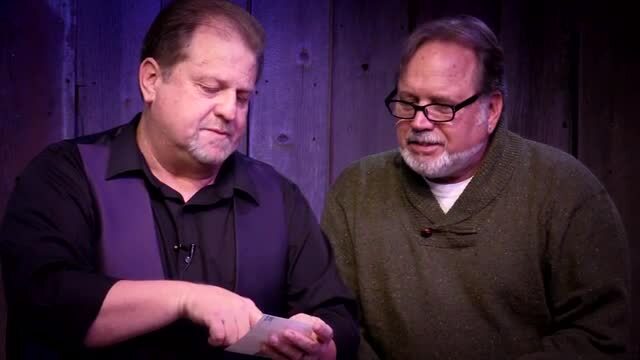 He is also the creator of the legendary (and recently re-released) Sight Unseen Case, universally lauded as one of the most useful tools a mentalist can possibly have and used by a literal "Who's Who" in the world of magic and mentalism. He has written over 25 books, released nearly 20 videos and has had over 60 limited release commercial items. Mark's material is being used by top pros (and amateurs as well) literally all around the world. If you've never been to a magic lecture, there's never been a better time. Sunday, January 24th, at 7:00pm, we're live-streaming Mark Strivings LIVE 2 in a spectacular 2-hour interactive online lecture. Watch, ask questions, and learn things you won't find in any book or DVD. 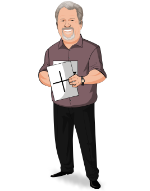 Purchase the Mark Strivings LIVE product. This is your ticket. 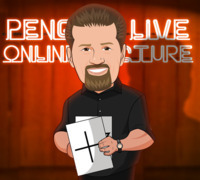 On Sunday, January 24th, anytime before 7:00pm Eastern, click the MyPenguinMagic area at the top of the Penguin site. You'll see the livestream appear 1 hour before showtime. At 7pm sharp, Mark will hit the stage and begin his JAM-PACKED professional lecture. Ask Mark questions and discuss the tricks DURING the lecture. I like the voodoo trick. It fits my tastes for bizarre or strange magic. I was totally fooled by his open prediction trick. It's a great trick to show your friends at the magic club. There's some great tricks here and I enjoy the theatricality of juju dolls, wooden boxes and keys. Initially, I was off put by the amount of mentalism, but they are legitimately good tricks!